The awards honor advancements in the education of physician leaders. The deadline for nominations has been extended to Feb. 23. 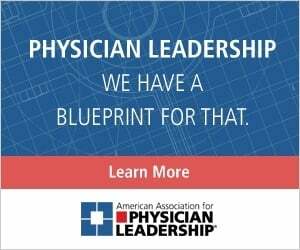 Two annual awards presented by the American Association for Physician Leadership embody the organization’s commitment to improving health care by preparing industry leaders and influencers. Nominations are being sought for both the Leape Ahead Award and Roger Schenke Award, which will be presented at the association’s 2018 annual meeting in Boston, Massachusetts, scheduled for April 29–30. The deadline to submit nominations has been extended to Feb. 23. The Leape award recognizes institutions and their leaders dedicated to advancing the quality of health care by developing medical students and residents as future leaders. The Schenke award goes to individuals who have exhibited innovation in the creation of education or training programs to advance physician leadership and improve health care. The Leape award was named for Lucian Leape, MD, a former pediatric surgeon whose emphasis on establishing a respectful, professional training environment for med students and residents was an important step in the pursuit of "do no harm." He currently serves as a health policy analyst at Harvard University and is chair of the Lucian Leape Institute at the National Patient Safety Foundation. Leape’s seminal paper, Error in Medicine, paved the way for the patient safety movement. 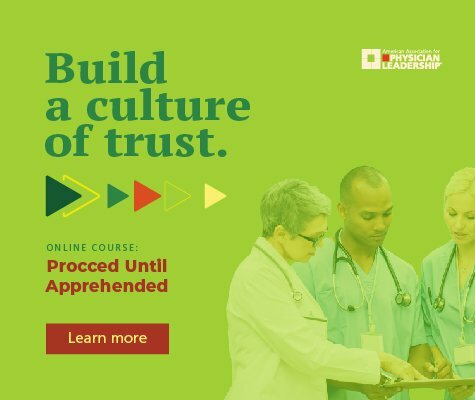 Leape became an outspoken advocate for nonpunitive solutions for fixing medical errors, which led to a groundbreaking report, To Err Is Human, by the National Academy of Medicine (formerly the Institute of Medicine). The Roger Schenke Award, established in 2014 for AAPL’s 40th anniversary, honors the organization’s founder. Schenke served as CEO from 1975 until his retirement in 2008. During that time, he designed and conducted more than 75 educational programs and developed the Certified Physician Executive certification.